Blyth Town Barca U13 girls after being presented with their trophies. Blyth Town Barca U13 girls have gone one better this year than last and won their league title with a 100 per cent record and with a game to spare. The girls play in the Pinpoint Recruitment League and were up against the current champions Ashington Town, where a victory for either team would see them lift the title. The match was close after a tight first half ended 1-0 to Blyth. 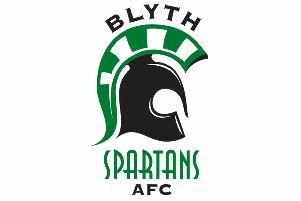 Blyth then came out in the second half and finished the game off in style and ran out winners. Ex-Blyth Town player and now England international Lucy Bronze tweeted her congratulations to the girls the following day. The girls were presented with the league trophy on Saturday along with their winners’ medals. They will be heading off to Blackpool at the beginning of June to defend the title they won their last year. On their return, open training sessions will start at 6pm on Tuesday, June 7, at their home ground to start preparations for next season.